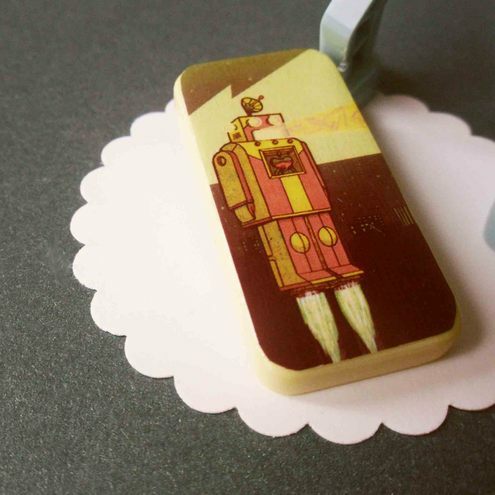 Folksy :: Buy "Retro Robot Domino Brooch"
Decoupaged with a retro robot Image. Sealed with Mod Podge & Clear Acrylic Enamel Paint. Folksy :: Buy "Vintage Domino Brooch"
Folksy :: Buy "Paris Domino Brooch"
Folksy :: Buy "Tea Domino Brooch"